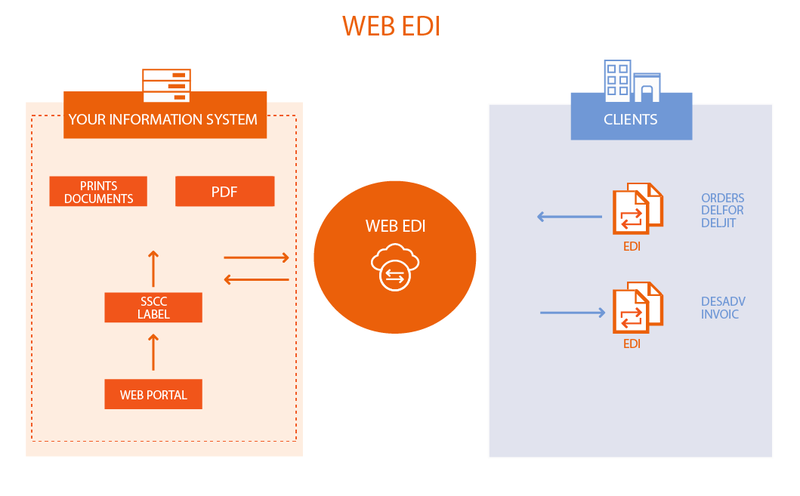 WEB EDI is a solution that is simple to use, swift to implement and highly affordable for suppliers seeking to take customer orders and exchange a limited volume of documents via EDI. It is a 100% online solution. WEB EDI: who is it for? Our solutions are used by thousands of suppliers whose order volumes do not require automatic integration, or who are not equipped with order management software. WEB EDI can be used to provide a temporary increase in current EDI capacity until new operations can be integrated into their on-site system, or to handle one-off documents. WEB EDI allows you to access and process corporate documents (administrative, commercial, etc.) on a secure online interface available 24/7, without having to download, install and support software, and without the need for data mapping. Your messages are composed using simple Web forms. All you do is enter the invoices or shipping notes to be sent to your partners, and our WEB EDI online solution then translates them into the appropriate standard format (EDIFACT, ODETTE, GALIA, VDA, etc.) and sends them on to the designated recipient. With WEB EDI, you can also automate the creation of these documents from messages received on the online interface: downloading part of the data relating to an incoming order can, for example, trigger the automatic creation of an invoice, speeding up order processing. In short, WEB EDI leaves you free to concentrate on your core business, and not on the EDI solutions you need to implement in order to work with your partners. With WEB EDI, you have the option of sending out tax-compliant dematerialized invoices. WEB EDI also provides label management.